Some weekends are busier than others, even in Swellendam. This weekend is exceptional even by busy standards with some interesting things in and around town. 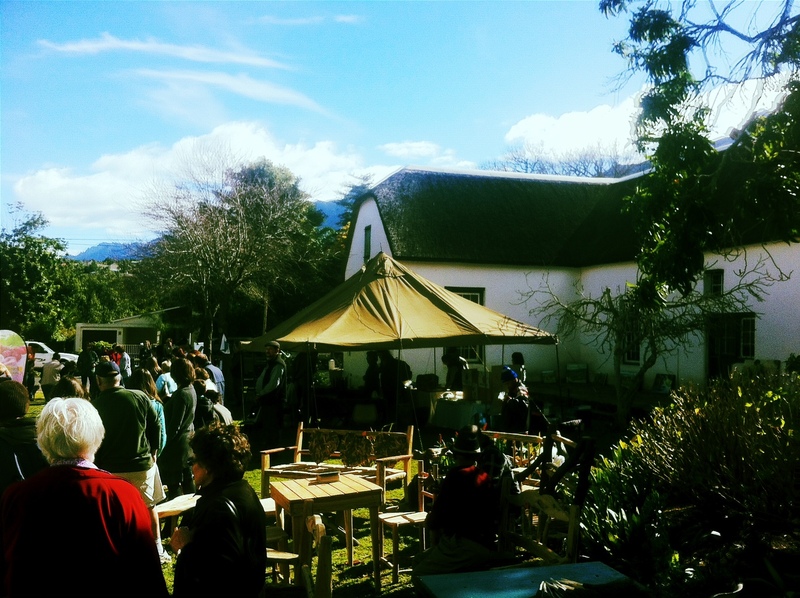 Friday night was the SwellenGlam party in aid of the Swellendam Bursary Fund, and it was just great to see so much support from the community for this project. Mr Basil May was there, looking dapper; local drag queens were looking chilly in their skimpy outfits, several Swellendammers of recent European origin dressed 70’s glam and it was altogether a loud, fun evening. 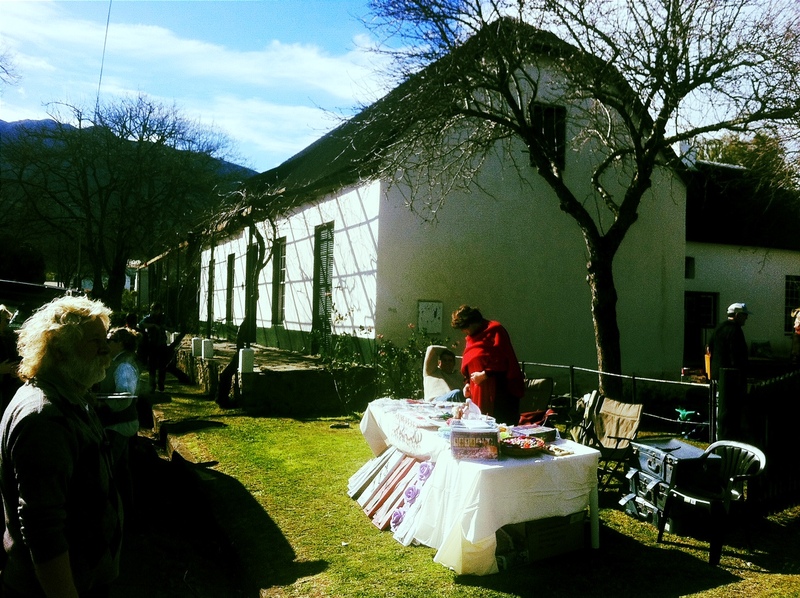 Saturday saw the anniversary of the Swellendam Republic with a market day at Mayville Museum, one of the wonderful precincts which make up the Drostdy Quarter. 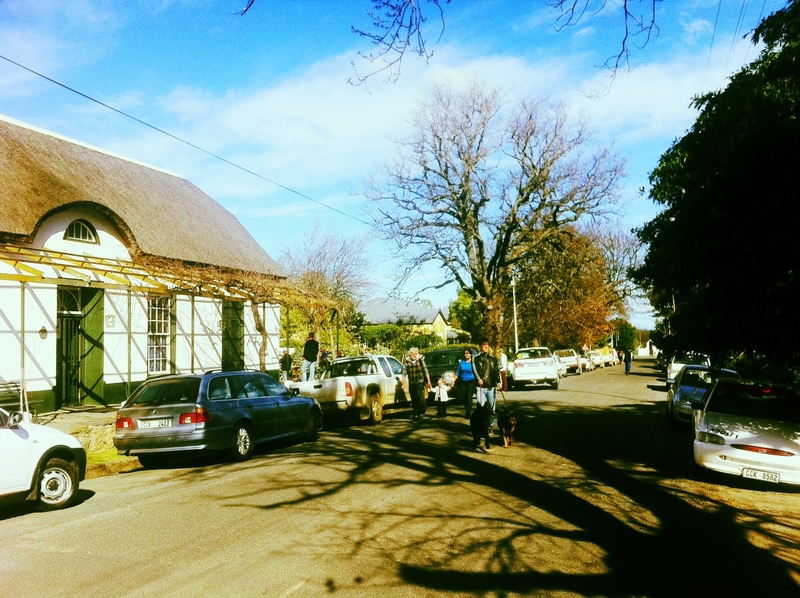 This area (where we are also situated) has to be one of the MOST historically prolific areas in the country, rivaled only by Stellenbosch. 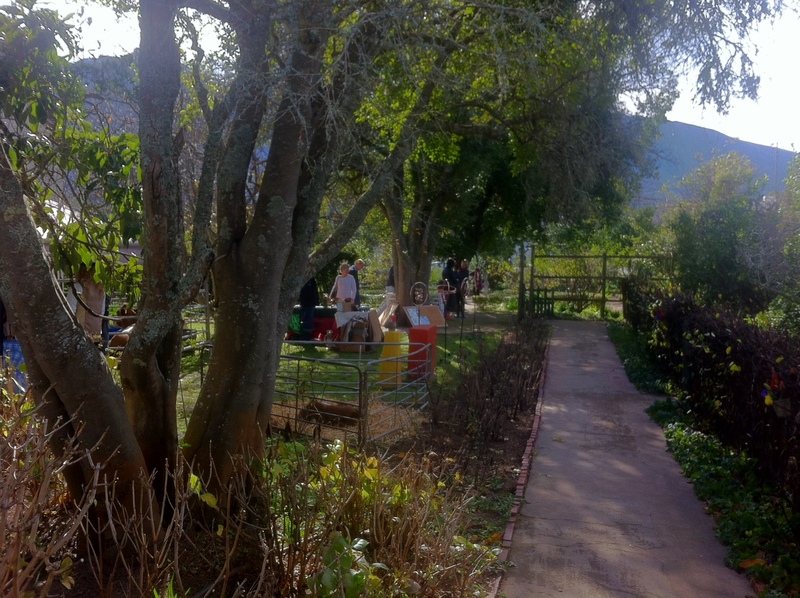 I think it is better than Tulbagh or Graaff Reinet but that is my subjective opinion, and we have a guesthouse here which means we are not entirely unbiased! The market was just wonderful. 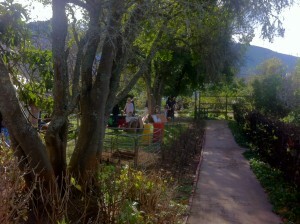 All sorts of art and craft and nice food, including the large organic stand from the Korean commune just outside Swellendam. The live music was subdued and the atmosphere was positive and joyful. Some pretty good local art was on display at Bukkenburg Studio next door, with a new garden gateway to Bukkenburg being unveiled as part of the morning. This means that visitors to the Museum may now access the studio run by Felicity Potter and Dave Schlapobersky much more conveniently. All very easily reached from your little hideaway cottage at Augusta de Mist!